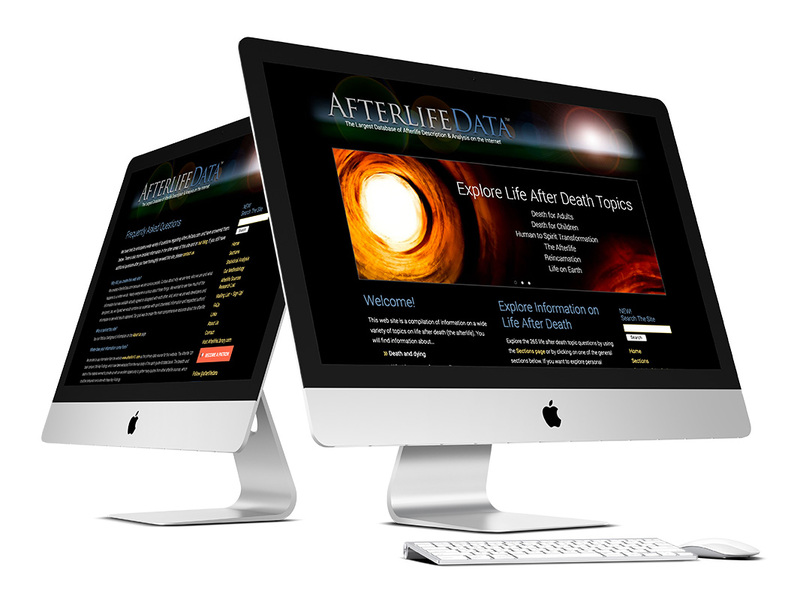 AfterlifeData.com is a research website that contains the largest correlation of spirit communications about life after death on the Internet. Its 265 topic areas are presented with reference from well-respected sources. We created, researched and maintain the database regularly via a custom-designed content management system. Statistics and analysis are performed behind the scenes and displayed in real time on the front end when data is updated.